Terry is used to the habit acquired from my Uncle Bill, mom’s “little brother.” The game goes something like this: A group of friends listening to music from “back in their day.” The objective is to, in as few notes into the song as possible, blurt out a place, a car, a name (frequently old girl friend or boy friend} and a couple of details to seal the deal. As a journalist introduced to the newspaper business through photography, the saying, “a picture is worth a thousand words” resonates strongly with me. On the other hand, any old wordsmith worth the paper his or her thesaurus used to be printed on can also argue for a thousand words and they’ll tell you more about the picture than you will ever see. Still working in right-brain mode, anyone who understands that music is what feelings sound like does the same thing by playing off memories evoked by music. I credit my mother for the roots of my music appreciation. When my sisters and I were kids, she was still enjoying a small collection of 78 r.p.m. records accumulated from her central Kentucky high school years. Songs by Tennessee Ernie Ford, Patty Page, Eddie Arnold and Hank Williams, Sr. remind me of Saturday afternoons in West Texas as she played them over and over, along with the soothing melodies of big band music from orchestras such as Glenn Miller, Tommy Dorsey and Benny Goodman. Maybe that love for music and memories is why high school and college band years were spent playing a sousaphone (a.k.a. tuba or bass horn). There’s nothing finer than a John Phillip Sousa march. Rousing instrumental songs like “King Cotton,” “The Washington Post,” or “El Capitan” vividly recall images of Friday night football, spring concerts, a couple of bowl game appearances intertwined with road trips, the thrill of hitting a yard-line marker with your heel, a memorable stage band performance with “Doc” Severinsen or spending time in band study hall with my first real girl friend. It wasn’t until college years in the late 60s, early 70s that my interest turned to country and western music, mostly because my appreciation for late 60s rock and roll was an on again, off again affair. Didn’t like it much then, but have come to appreciate it more the last 20 years or so, again because of memories. My “Classic Rock” years were spent drag racing and spending time at the tracks. Common practice was track announcers filling empty time between rounds of racing with music. Jefferson Airplane, the Grateful Dead, Blood Sweat and Tears today paint vivid pictures of changing spark plugs at Interstate Raceway in Tyler on Saturday night, or waiting for the next call for stock classes at Dallas International Motor Speedway. Perhaps I owe some of my appreciation for country music to Johnny Garner. Let me hear “Crazy” by Patsy Cline and I’ll tell you about the night he and I sprayed a late night paint job on a truck at Sandlin’s Body Shop in Mount Pleasant in about 1970 while the radio kept us entertained. Play “Does Fort Worth Cross Your Mind” by George Strait and you will have to endure memories of some specific afternoons that involve Joe T. Garcia’s and close friends, one in particular. “Music is what feelings sound like” is inscribed on a plaque hanging at home where I’ve been attempting to cross another item off my bucket list, learning to play the guitar. Don’t know where I’d be without the memories and feelings music has brought into my life, but I’m pretty sure it’s a place not nearly as comforting. Did I tell you about the memory that comes to mind when I hear Floyd Cramer’s “Last Date?” No? Well, play it for me sometime and I’ll tell you the story. Originally published 8/11/2014 in the Center Light and Champion and the Mount Pleasant Daily Tribune. Lead Zeppelin’s Stairway to Heaven……read the lyrics. 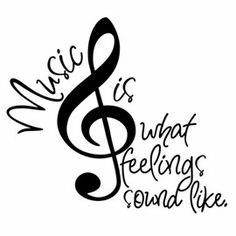 How true the statement, Music is what feelings sound like!!!! Funny how a song does dig deep down into one’s soul to produce hidden memories! I happen to have most all of the songs or band groups you mentioned in either 8 track, ( wow, that dates me) cassettes , CDs or sheet music. Speaking of sheet music…. I think I’ll find Last Date and play it a time or two! Do that, and I’ll tell you the story.